The LINX Cargo Care Group will help transport the Vodafone Safety, Medical and Course Cars across Australia for the 2018 Virgin Australia Supercars Championship. 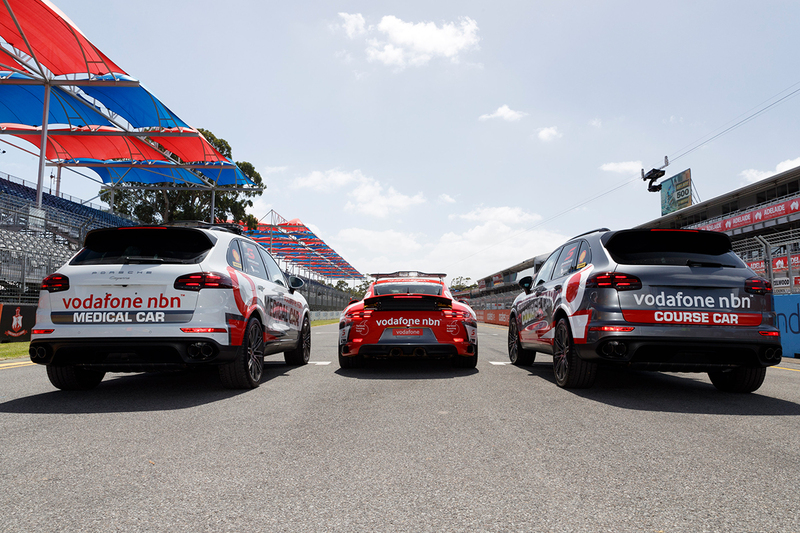 In a new partnership, Autocare will act as the official logistics partner of the Vodafone Safety, Medical and Course Cars to deliver them to each event on the Supercars calendar. Anthony Jones, LINX Cargo Care Group CEO, said his team is incredibly excited to partner with Supercars and bring a shared passion for safety and high performance to the 2018 season. “Ensuring these vehicles are delivered in perfect condition for each race is exactly what we do for our thousands of Autocare customers every day across Australia,” Jones said. “As with Supercars, what we do is about so much more than the people who drive the vehicles; it’s about looking out for each other and working together to keep everyone safe. Supercars General Manager - Commercial, Jamie Black, is pleased to have partnered with one of Australia’s leading vehicle logistics groups for the remainder of 2018. “Our Safety, Medical and Course Cars play a critical role at our events,” Black said. The LINX Cargo Care Group and its four businesses - LINX, Autocare, C3 and GeelongPort - employs more than 3,800 people across Australia and New Zealand. The Group provides services and integrated logistics solutions to customers from a diverse range of industries throughout the region and handles more than one million vehicle movements per annum. Autocare joins Supercars for this weekend’s WD-40 Phillip Island 500 before a trip across the country to Western Australia for the Perth SuperSprint on May 4-6.